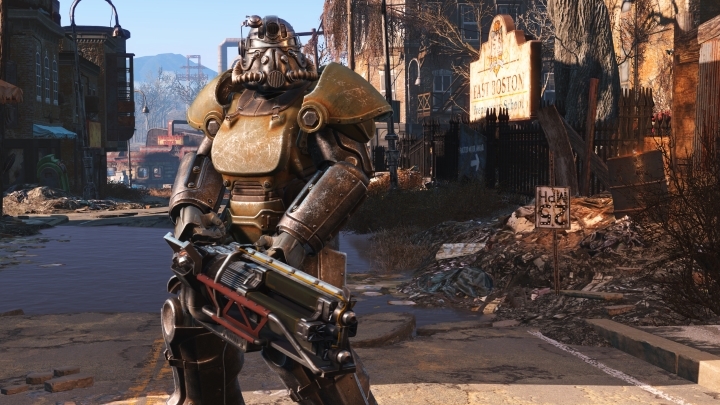 Game creators Bethesda recently published a new blog post on their website extolling the graphical virtues of their eagerly awaited role-playing video game Fallout 4. And this post appears to be a direct response to gamer worries about a series of leaked images and gameplay videos earlier in the month that showed Fallout 4 in a less than rosy light. So Bethesda is stating that the game will look great, and backing this up with plenty of technical details, such as the game’s “physically based deferred renderer”. And regarding the objects and characters in Fallout 4’s post-apocalyptic world, Bethesda stated that they will “feel tactile and grounded”, thanks to the fact that materials in the world will behave differently according to their type. For instance, in the game metal “reflects light in a distinct manner from wood”, according to Bethesda. And there’s no denying that the chap seen standing in the Boston ruins in the image above does look realistic indeed. 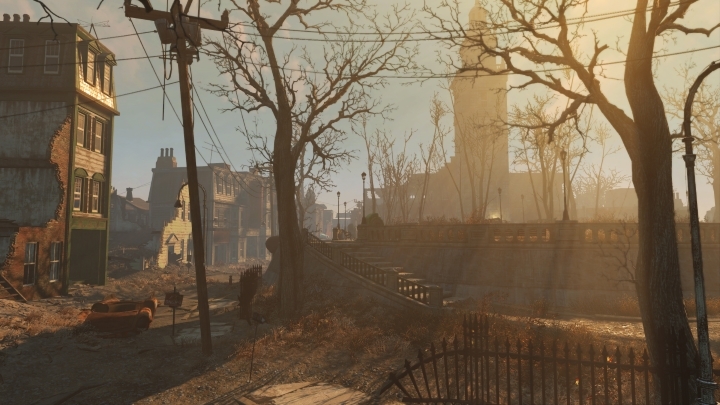 And regarding lighting in the game’s world, Bethesda also said that apart from featuring their usual dynamic weather and time of day, light effects in scenes, specifically “god rays” would look “beautiful in motion”. And it can’t be argued that the image below does feature some pretty incredible lighting. Although Bethesda did not specify from which platform the images came from (the game will release on PS4, Xbox One and PC), they stated that all graphical features will “work great regardless of your platform”. 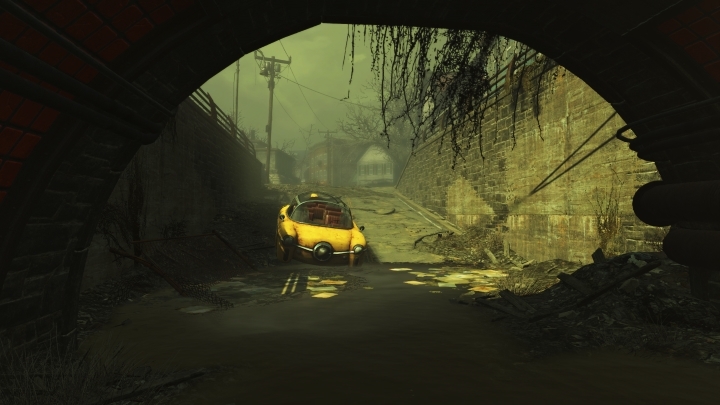 But despite this pre-release controversy about the game’s graphics, it is clear that the Fallout series is not only about visuals, because it offers a deep role-playing experience in which gamers can interact with the world to an unprecedented degree and get to know all sorts of wacky and weird characters in a world that has been devastated by the nuclear holocaust, and will never be the same again. The Fallout games have always been about those stories told not only by the game’s characters but by little details in the game’s environments such as lost documents and other remains and personal items people left behind in the game’s devastated wasteland. And here’s hoping that Bethesda’s upcoming Fallout 4 will offer a great and compelling experience as earlier games in the series when it debuts later in November. Next: Will The Witcher Movie Be a Success in 2017?